Thatcham Garden Centre, owned by Wyevale Garden Centres, is the largest garden centre in Berkshire. That's followed by Hare Hatch, also owned by the same company. However there are lots of medium sized garden centres and nurseries in Berkshire, one of the most unusual being Stubbings in Maidenhead. They have carved out a niche for themselves in selling large specimen plants, trees and hedges. Dobbies purchased the Grovelands Garden Centre from private owners in 2006 and have modernised it to a certain degree but this is definitely not one of their modern garden centres. Nothing wrong with that .... Click here for the full review. The people on site are the ones who grow the plants so feel free to ask them any questions and you can be assured of excellent advice. The plants themselves are displayed in the large greenhouses .... Click here for the full review. The garden centre was first started as two separate businesses. Sheeplands first started in 1981 as a small farm shop. Next came along the Hare Hatch nursery in 1993 growing plants and selling them .... Click here for the full review. This is a real working nursery with many of the plants grown on site in their plant nurseries. This ensures top quality plants at competitive prices. 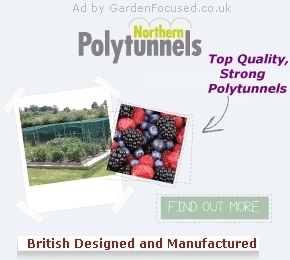 They stock a huge range of plants so you can be .... Click here for the full review. The plants area is pleasantly designed with several centre pieces which break up some of the rather long rows of plants. The paths are wide enough for wheelchair access but some are of gravel .... Click here for the full review. There are several Lakeside Garden Centre in the UK, this article is about the one near Tadley, Reading. Although not a plants nursery, all plants are bought in, this garden centre is one for the local gardener .... Click here for the full review. Our review of the cafe can be found here. The plants at Squires Garden Centre, Windsor, were in good condition, well watered and well fed. Quality is assured with Squire's three year hardy plant guarantee. The range of plants was large for a garden .... Click here for the full review. Stubbings is not your normal plant nursery. For starters it's situated on the Stubbings Estate which is used to hold large events, it also houses an office complex. Secondly, the nursery part of the business is .... Click here for the full review. 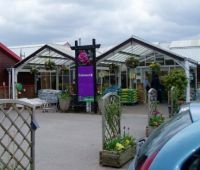 Thatcham Garden Centre was formerly owned by Country Gardens and was bought by Wyevale Garden Centres in 2011. This is a medium to large sized garden centre selling a good choice of plants. Hardy plants .... Click here for the full review.